Finally, more than eight years after its opening, I found the courage to tackle Everest myself. For most of my life, I've battled coaster-phobia. Problem is, my fear of roller coasters is completely even with my fascination and desire to experience them. Slowly but surely, I'm overcoming that phobia, and conquering Everest was a landmark in my goal. 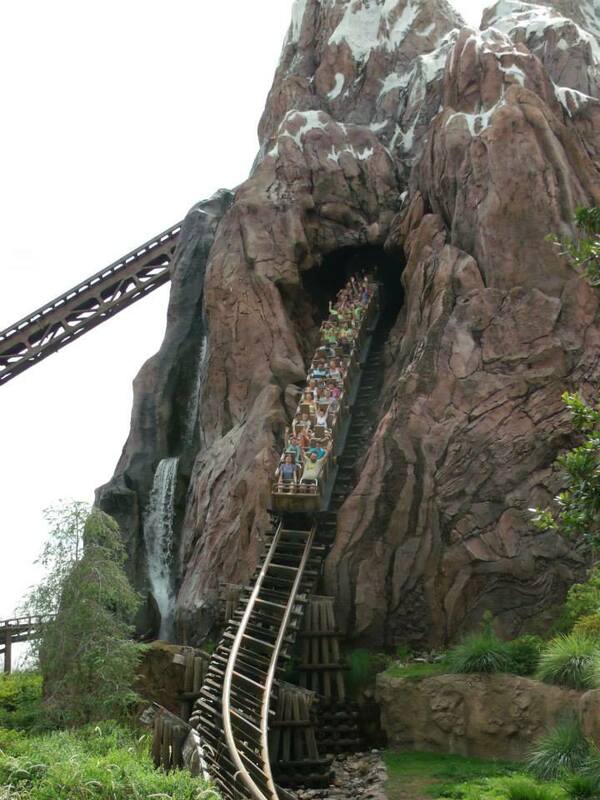 Expedition Everest was the last of the Walt Disney World coasters I had yet to face. Honestly, I felt just a touch silly for continuously putting off my expedition. After all, I've tackled Busch Gardens' Cheetah, and The Hulk at Universal Studios. Time and again, I kept hearing "if you can handle those...". Yes, Everest seems rather mild in comparison, but there was one thing holding me back. Something about barreling backward into a dark abyss just chilled me to my core. Even with a 45 minute posted wait time, my family and I opted for the standby line. You see, they've all done this one more than a few times. I've never even made it through the queue (afraid to be pressured when it came time to duck out at the "chicken" exit), and everyone insisted that it was one of those worthwhile lines. No longer is Disney simply herding us through bland chutes toward the loading dock. 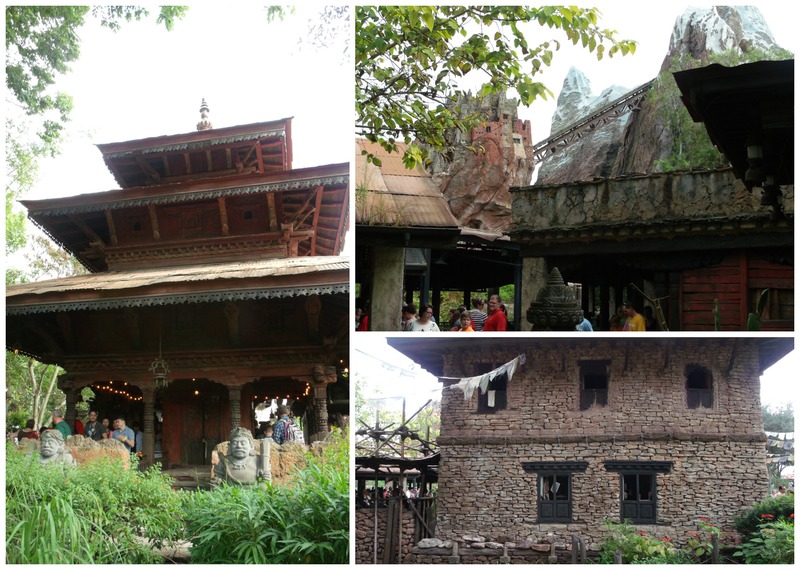 They've been integrating interactive aspects and impressive decor to liven up our wait in queue lines throughout the parks for some time now, and Expedition Everest is packed with aesthetic elements that make those pathways much more tolerable - appealing, even! About half of the standby queue winds through indoor or covered areas, and powerful fans provide some cooling relief in the more exposed portions. 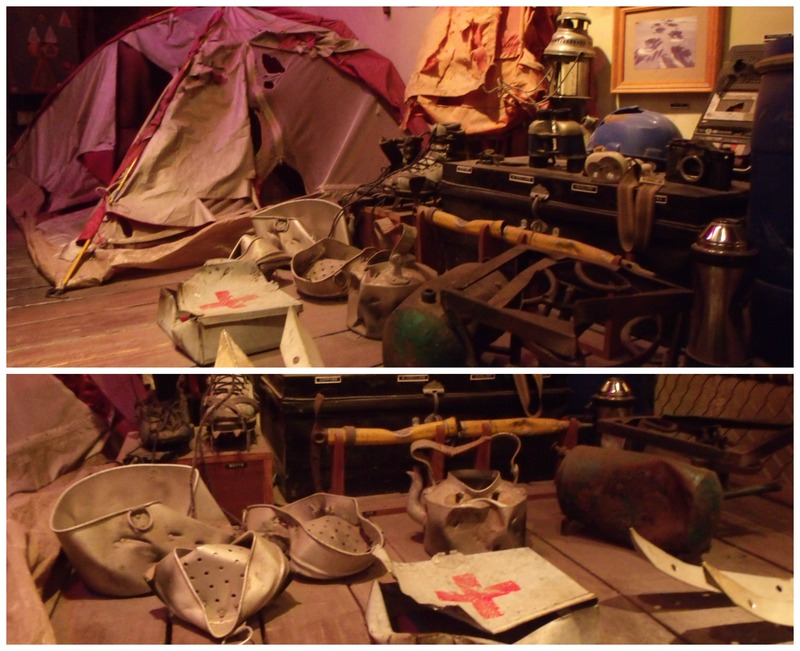 Thousands of props adorn the pathways and buildings of the queue, many of which were brought in directly from Nepal, adding to the area's authentic appearance - a wonderful example of Disney detailing. Lush, overgrown gardens surround a series of aged buildings as well as a shrine to the Yeti. Trying to establish good karma, we tossed a few coins as a peace offering. Better safe than sorry, right? The line eventually makes its way through a small museum, chock full of evidence documenting the existence of the yeti, before emptying into the ride's loading area. The ride itself is one of the smoothest I have ever encountered - every bank, climb, drop and brake avoids the jerky, tossing motions that tend to leave me regretting a ride. As the train dips in and around the peaks and valleys, shifts in speed allow riders to take in the dramatic views, and sincerely enjoy the experience. The contrasts of the snowy mountaintops against the emerald landscape are absolutely breathtaking. At times, you almost forget that you're on a perilous, plummeting trek, and then you hit the first horrifying reminder that the vicious yeti is waiting to sabotage your escape. As you climb between two peaks, you catch a glimpse of the path ahead. 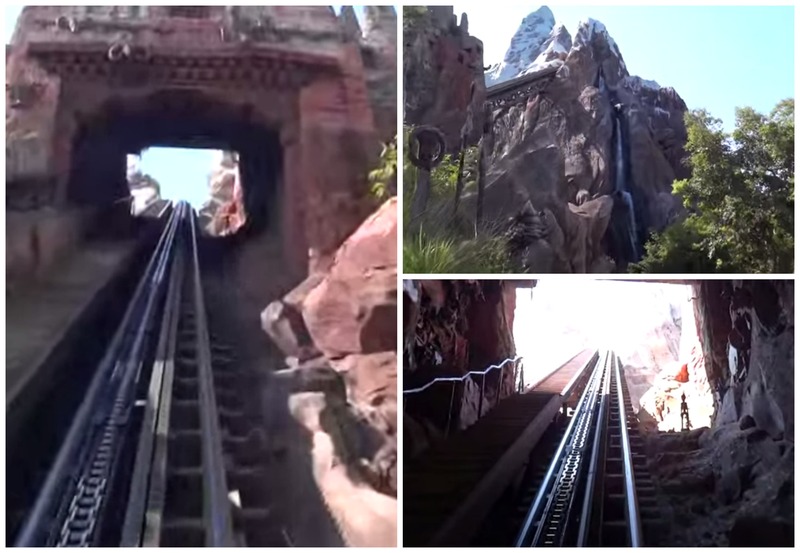 Luckily, you're able to stop just in the nick of time, as your train hovers high over the ground far below, but how exactly does a train handle a yeti-torn track? Just throw that vehicle into reverse, of course! Reverse? Yep, this was the part I had been dreading. This is no simple Maelstrom tease, either. Although I know this portion was brief, at the time it felt eternal. Perhaps it was due to being thrust into the darkest environment I could possibly imagine - and there is that little voice in the head of a chicken like me that wonders "is it supposed to be quite like this, or are we really in distress up here"? 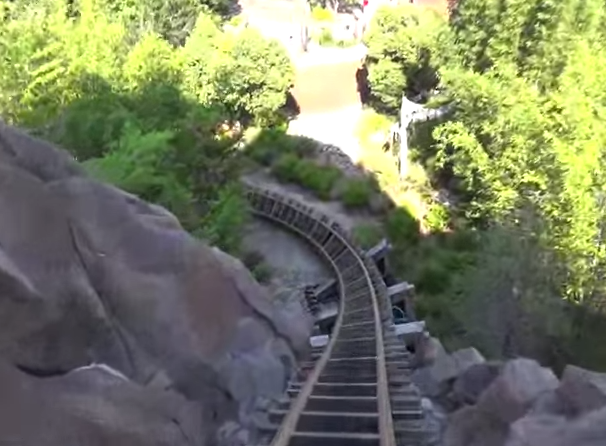 Common sense and what you "know" about the ride seem to take a hasty exit. Yes, this is where my legs turned to jelly, no longer possessing the strength to help me brace myself in the ride vehicle. I'll admit, portions of the ride from here on out blurred in my mind amidst my shouting inquiries to those more experienced - "is it almost over"? 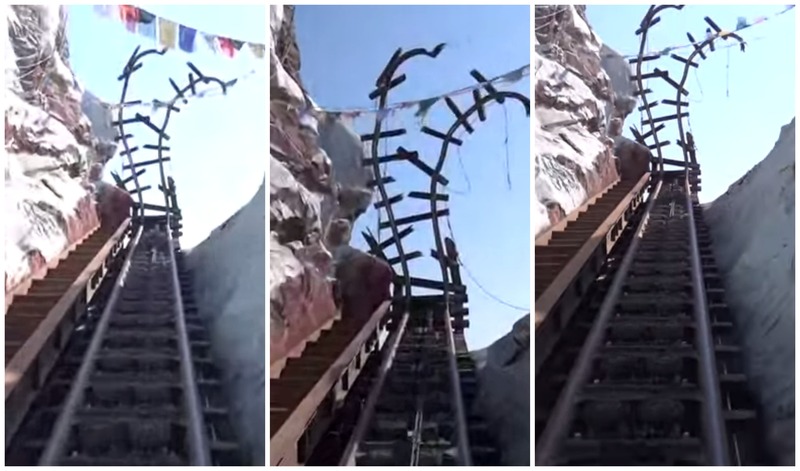 I did thoroughly enjoy the yeti's memorable appearances, as well as that harrowing drop. I'll also admit that this blog post serves as a very public confession of one of my deepest secrets. Every time I experience a new coaster, I jump out with lightning speed at the end, insisting that it was a horrid experience I will never repeat. I may stand by that statement when it comes to Cheetah, but truth be told, no matter how panicked I was at the end of Expedition Everest, I did enjoy it. Furthermore... I can't wait to do it again!